The first thing to try when your toilet won’t stop running is to pull the tank lid off and look inside. Check to see that the flap is down. Often the chain that pulls the flap open can tangle, or the hinge that holds the flap could get wedged open so that it won’t shut fully. If you can get the flap to shut fully, this should stop a running toilet. Also, make sure that the water supply line is turned on all the way, as a lack of water pressure can also make the toilet seem like it is running constantly. Next, check the float for hangups. If you have a Ball Float , be sure that it isn’t stuck down, preventing the lever from shutting off the water once the tank is full. You may adjust the screw on this lever to change the angle at which the float will shut off the water. You may also bend the bar holding the float, slightly to change the angle and keep it from hanging up. 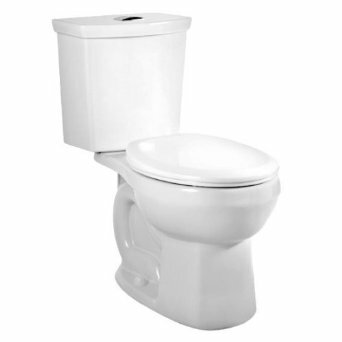 If none of the above stopped your running toilet, shut off the water supply, pull off the tank lid, and remove the flap. Look the flap over and check it for imperfections and calcification or scale in the flap itself. Give it a good cleaning. Next check the rim that comes into contact with the flap inside the tank. Clean off any scaling and replace the flap. Turn on the water supply and fill the tank. If the water fills the tank and then stops running, you may be finished! A clean toilet flap will work much better than one with that’s dirty. If this simple solution did not fix your running toilet, find a suitable replacement flap for the toilet. These are just a few of the reasons your toilet might be running. You know you should stop a running toilet, and now you know how.